Geoparks were created for the purpose of locating regions with superior geological, natural, and cultural heritage. Geoparks work to protect these heritages and to share them with people from all over the world. The word "Geopark" combines the words "geology/geography" and "park" to refer to a region that is recognized to have geological features of superior quality. But Geoparks are not just about rocks and fossils. Geoparks also offer an abundance of cultural heritage, history, and beautiful natural landscapes, making them ideal ecotourism destinations. Global Geoparks are Geoparks that have been recognized as being of exceptionally high quality with geological heritage of international value. In November 2015, Global Geoparks became an official program of UNESCO, similar to World Heritage Sites. UNESCO Global Geoparks are connected by the Global Geoparks Network. As of February 2016, the Global Geoparks Network encompasses 120 UNESCO Global Geoparks in 33 countries. Eight of those are in Japan. 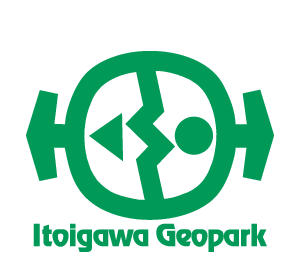 The City of Itoigawa received certification from the Global Geoparks Network in 2009, making it the first Global Geopark in Japan. In order for Geoparks to achieve their goal of simultaneously conserving and sustainably using their locally treasured geological heritages for the purpose of creating sustainable regional societies, Geoparks the world over must work together to exchange ideas and experience while sharing the message of Geoparks to people of all ages and nationalities. Itoigawa UNESCO Global Geopark's unique location has made it home to a wealth of fascinating geological features and minerals. These minerals can tell us the story of how the Japanese Island was formed. Itoigawa Geopark encompasses the entire area of the City of Itoigawa. It sits on top of a massive fault called the Itoigawa-Shizuoka Tectonic Line which splits Japan between the Eurasian and North American continental plates. Its geological history was dynamic and violent, tearing from the Asian continent, submerging beneath the sea, then rising up as plates collided. 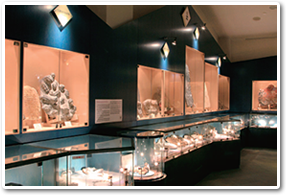 This violent history has blessed the area with an astounding variety of unusual minerals and features which have strongly shaped the lives and culture of the people who have lived here. 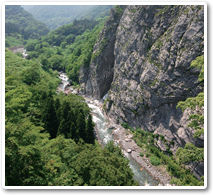 Within the Itoigawa Geopark, locations which have particularly outstanding geology, culture, history, or scenic beauty have been selected as "Geosites." These Geosites offer excellent opportunities to bask in the Earth&apos;s majesty while learning more about the formation of the Japanese Archipelago as well as the culture and history of Itoigawa. Many of Itoigawa&apos;s Beaches, like those of Itoigawa, Omi, and Ichiburi, are covered with a wealth of pebbles and stones of all shapes and sizes. 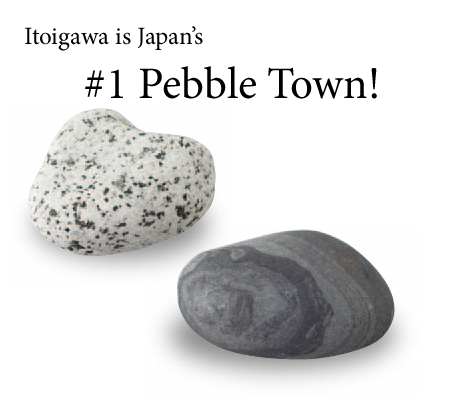 Dozens of types of stones can be easily collected on these shores. It is for this reason we like to call ourselves Japan&apos;s #1 Pebble Town! Itoigawa is also home to the Kotakigawa and Omigawa Jade Gorges, two natural jade deposits which fostered one of the oldest jadeworking cultures in the world. 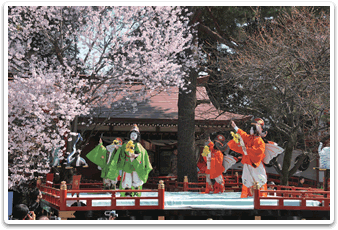 The ancient legend of Princess Nunakawa also developed from these sites. The crooked line in the center of our logo represents the Itoigawa-Shizuoka Tectonic Line which splits the Itoigawa Geopark, as well as all of Japan, in half between two continental plates. The circle and triangle represent the dramatic difference in geology on either side of the fault. 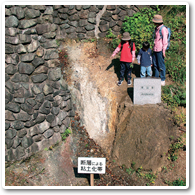 Finally, the two arrows represent the spread of information emanating from Itoigawa through Geopark activities.